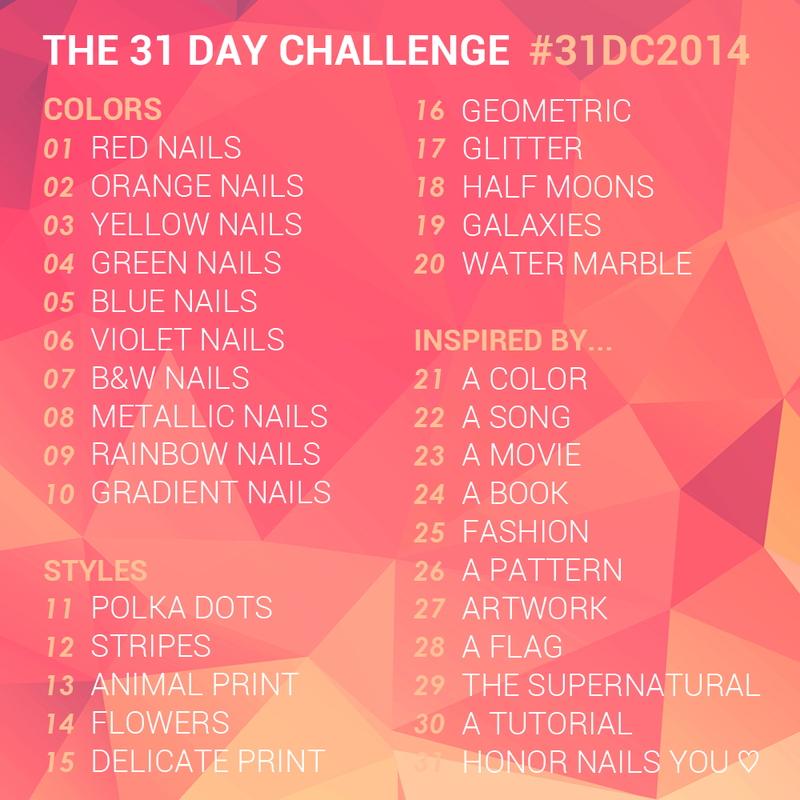 tl;dr version: I hate water marbling, and I'm sad that it was the theme for Day 20 of The 31 Day Challenge. So here is my sad attempt, and let's all move past this little blip and look towards tomorrow's fill instead. M'kay? M'kay. Please excuse the lighting today - my camera reacted weirdly...! The water marbling itself was done with a few China Glaze shades: Tongue & Chic, Man Hunt and Bizarre Blurple. I added a bit of Sinful Colors Snow Me White to lighten it up, but in general my goal was to stick with the jewel tones for the majority. It was a surprise to see the blue turn a completely different and lighter shade when spread out in the water. All the polishes spread quite well when I was doing the marbling which was a relief. My colour blocking with Tongue & Chic is strategic, I will tell you that. Some areas of the water marble turned out not terrible, so they got to stay. My pointer finger, well... I'll let the state of that speak for how well that marble turned out. Hahah. 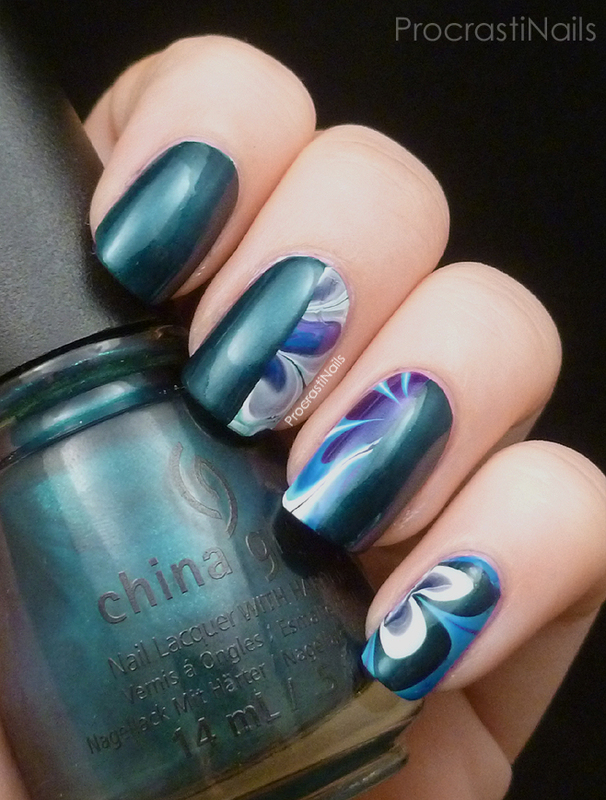 If you have any tips or tutorials around doing a successful water marble please let me know below! Otherwise I'll see you tomorrow for the start of the third and final section of the challenge! You know, we really are our own worst critics. If my water marbling attempts looked even half as good as this one does, that would be pretty awesome. I don't know how those colours look in person, but they look pretty darn good on screen! Its not too terrible! 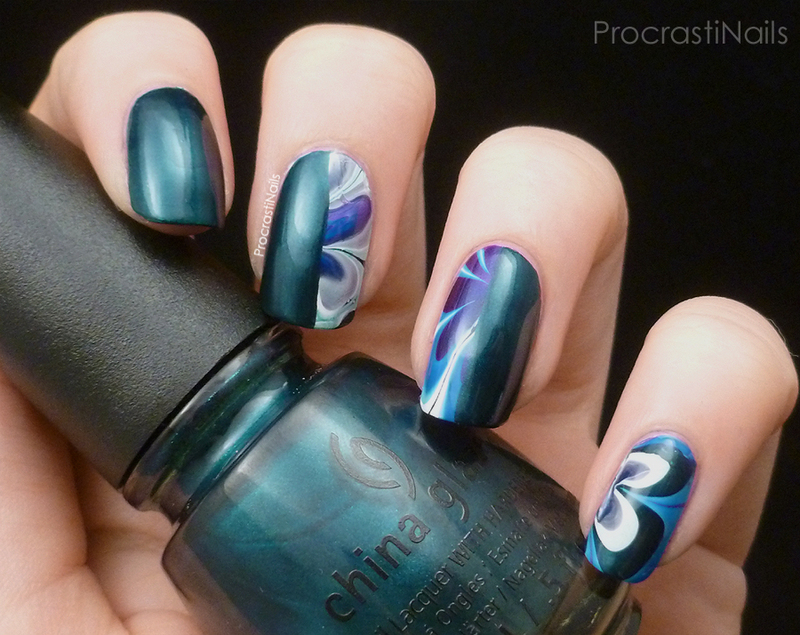 I still haven't attempted a water marble manicure even though I say I would. I understand and feel you completely. I just did a watermarble yesterday, and while in essence, it was "successful," it was still teeth-grindingly tense for me and I generally can't be bothered with all the mess and time and do-overs that it tends to take. All that said... I do love this look, and I think it's really clever to use the colorblocking to cover up the gnarly bits. I think that should become the new thing! I totally identify with you, girl. However, I think you did a really good job! It looks pretty! "I admit that this isn't completely terrible..." lol you crack me up! I think it looks great! I like how your nails aren't just completely watermarble. I understand the love/hate thing with certain techniques, I am kind of like that with watermarble too, but more because they are really difficult to do! Aww I don't think this is a fail! 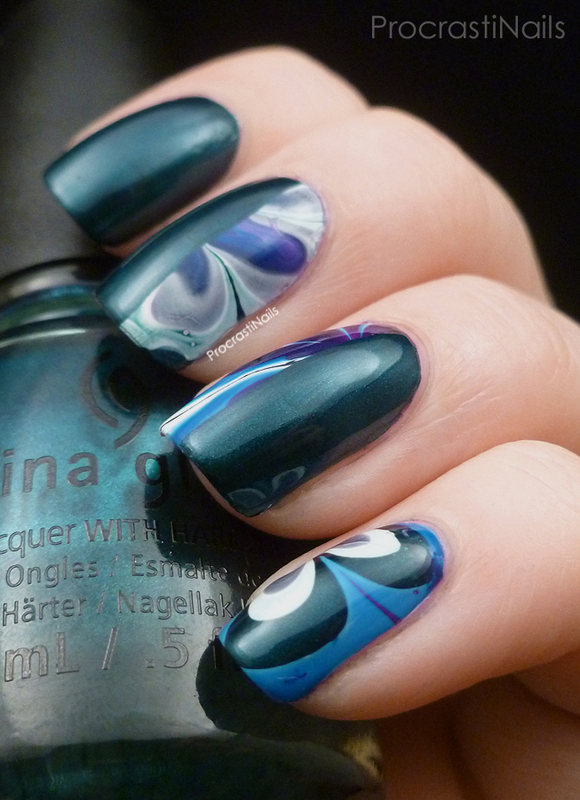 I like the nails that are half watermarble and half a solid color, it looks really cool!